It's the holiday season at the North Pole, and Elfis the Elf is singin' and swingin' in style! All of the gang there love to hear him play his guitar and perform. Santa Claus is particularly fond of Elfis and his music, and as a surprise, he decides to find a band for Elfis. The newly formed group is called, "Elfis and The Sleigh Riders." Alas, as it sometimes happens, not all goes well. The members of The Sleigh Riders get into an argument over who is going to sing a solo. They are unable to resolve their differences, and the band splits up. Despite the best efforts of the elves, the reindeer, and even Santa and Mrs. Claus, the band members are too angry to even talk to each other. Elfis intervenes with a poignant reminder of the value and importance of friendship and communication. The band members realize how foolish they have been to harbor anger against each other, and they make up. 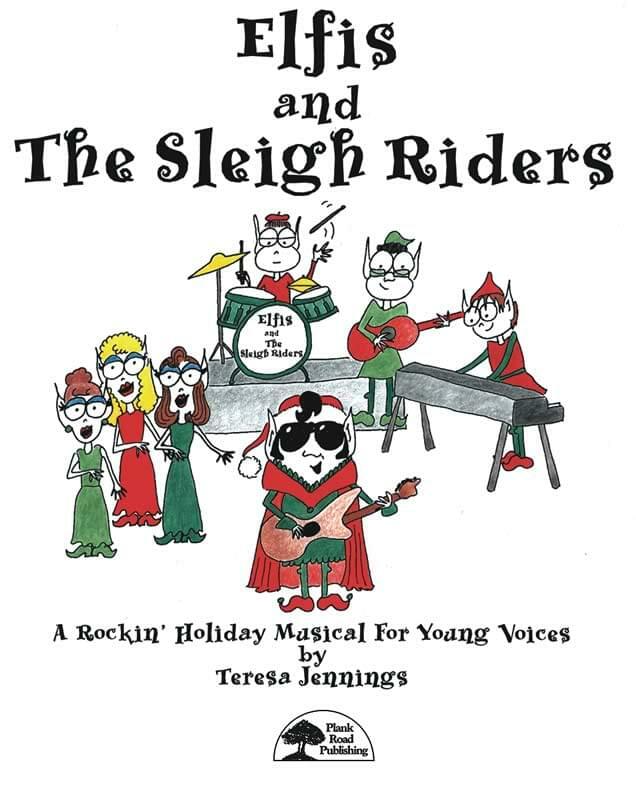 Once again, Elfis and The Sleigh Riders are back together and rockin' better than ever at the North Pole! In this classic rock'n'roll rendition of elf meets band, elf loses band, elf gets band, the message is the nurturing of friendships.